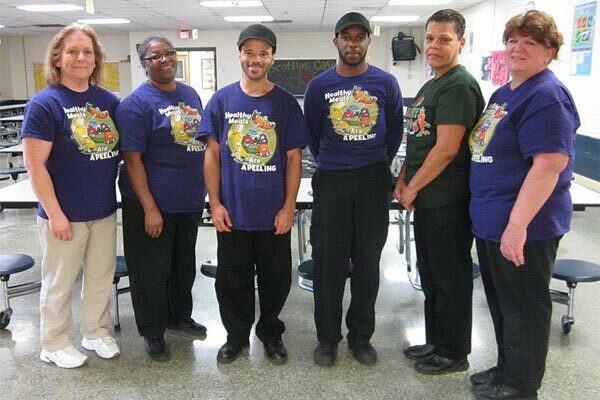 (01/06/2015) -Cafeteria teams from McIntosh Elementary School and Hines Middle School earned Newport News Public Schools' Best Cafeteria Award of Excellence for the 2013-2014 school year. The cafeteria staff at Denbigh Early Childhood Center and Achievable Dream Middle and High School earned the district's Best Cafeteria Award of Merit. The McIntosh team earned the top award in the early childhood/elementary division: Manager Carolyn Clark, Travis Hill, Alice Holley, Tyrone Robinson, Haydee Texidor, Pam Wallace and Val Rennix. 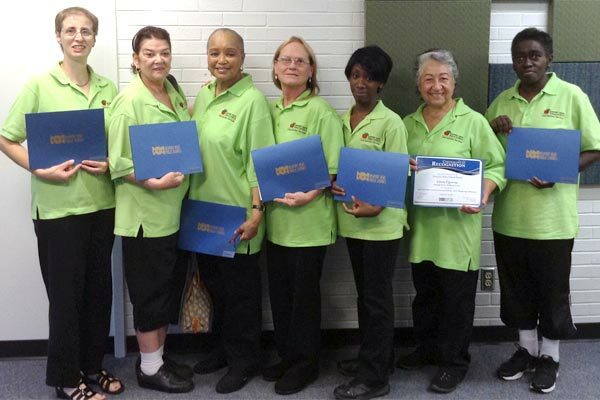 The top secondary award went to the Hines cafeteria team: Manager Sharon Miller, Richard Autry, Ivette Baldwin, Connie Blizzard, Carol Fort, Jeannette Jones, Robin McDaniel, Rosetta Murphy, Maribel Negron, Dejarris Stith and Ty Depriest. 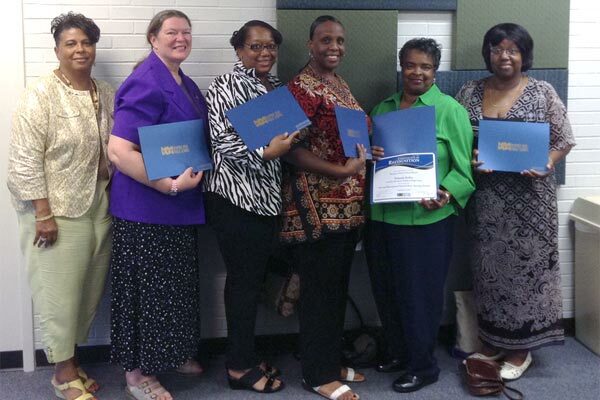 The Denbigh Early Childhood team received the Award of Merit: Manager Grace Cucurullo, Gloria Figueroa, Veronika Jones, Joanie McRae, Jean Meekins, Octavia Merrick and Lynne Sellers. An Achievable Dream Middle and High School's team earned the Award of Merit in its category: Manager Marion Commodore, Diane Kapustka, Yolanda Kelly, Gwen Langhorne, Susana Rankin and Corliss White. 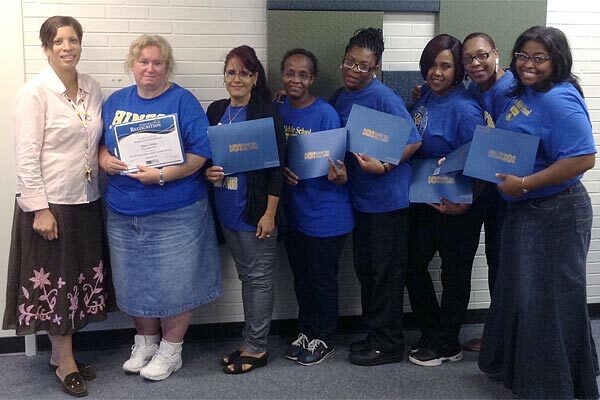 Cafeteria managers can apply for recognition in the awards program at the beginning of a school year; a review team evaluates the cafeteria and its staff on their promotions, cleanliness, health report scores, leadership, menus, and other criteria throughout the year. Winning school teams were recognized at the Child Nutrition Department's annual opening meeting and during the September 2014 School Board meeting.